I read this article and found it very interesting, thought it might be something for you. The article is called Why 277,160 Women Leaders Remain Invisible To Tamil Nadu’s Political Parties and is located at https://archive.indiaspend.com/cover-story/why-277160-women-leaders-remain-invisible-to-tamil-nadus-political-parties-71288. 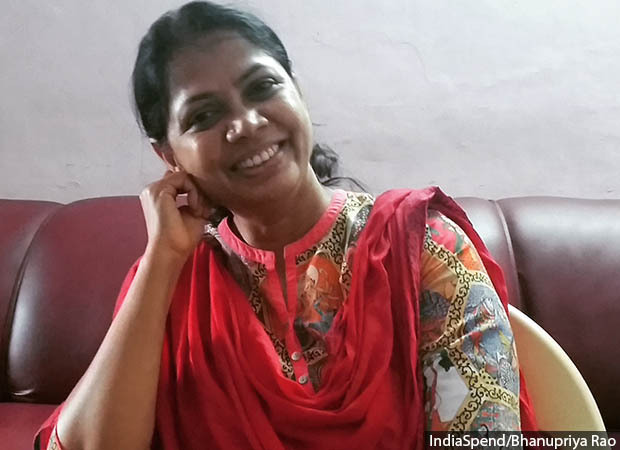 Salma, the Tamil poet and author, found her ticket to freedom when she contested the Tuvankurinchi town panchayat elections. In 2004, Salma joined the Dravida Munnetra Kazhagam and contested the state assembly elections. Disillusioned by entrenched sexism and lack of spaces for women, she now wants to quit and return to grassroots activism. 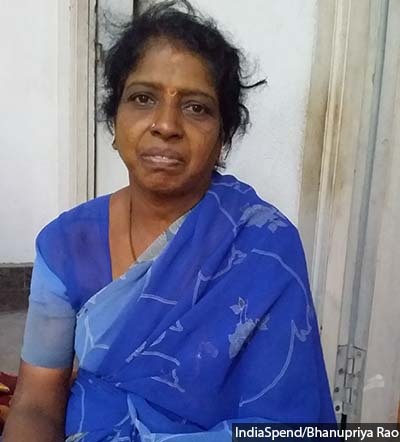 Chennai: Salma (50), the deputy secretary of the women’s wing of Dravida Munnetra Kazhagam (DMK), is among the few women to have made the transition from rural governance to mainstream politics in Tamil Nadu. Most other women have no choice but to retreat into their homes at the end of their five-year stint as panchayat chiefs. Salma, a celebrated Tamil poet and novelist, believes that it was her literary talent that caught her the biggest break in her life. During the course of her term as the head of the Tuvarankurinchi town panchayat in Tiruchirapalli district of Tamil Nadu in 2004 she caught the eye of K Kanimozhi, fellow poet and DMK member of parliament. Salma joined the DMK and two years later, party supremo Karunanidhi offered her an assembly ticket from Marungapuri constituency in Tiruchirapalli district in 2006. Karunanidhi is a writer himself and had read her recently published novel on the inner lives of Muslim women, Irandaam Jaamangalin Kadai (The Hour Past Midnight). In 2006, Salma’s political career seemed set for a meteoric rise. But today, disillusioned with party politics, she wants to quit and return to grassroots activism. “You cannot survive in this all-male world of politics without making compromises,” she said. Why would an ambitious and skilled woman leader be embittered enough by politics to abandon all she has achieved? 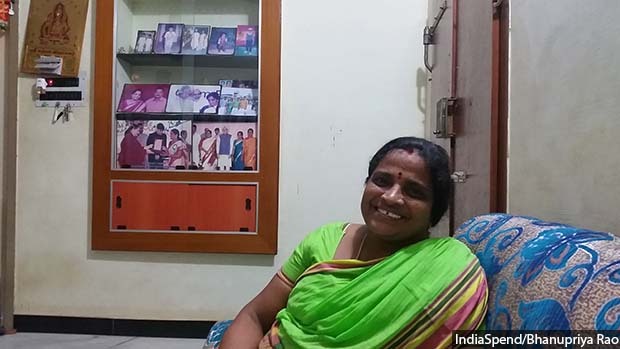 In our five-part series on women in Tamil Nadu’s panchayat politics, we established how women like Salma have transformed (part 1) local governance while battling gender prejudices, financial constraints (part 2), casteism (part 3) and physical threat (part 4). Many of these women deserved larger platforms for public work. But IndiaSpend investigations across six districts across Tamil Nadu showed that few of these achievers were allowed to move up the political hierarchy by entrenched sexism. In the two decades since the 33% reservation for women in local governance, at least 18,244 women from general category, 6,408 from scheduled castes and 416 from scheduled tribes have become panchayat heads in Tamil Nadu, according to data from the Tamil Nadu State Election Commission. A total of 277,160 women leaders have held office across all levels of urban and rural governance–as panchayat ward members, union and district panchayat members, mayors and councillors in urban local bodies. Hardly any of these capable women made it to significant positions in party politics, the state assembly or parliament. Why is this happening? IndiaSpend investigations showed that male-dominated party structures ensure that women face impediments every step of the way. We will establish through personal stories how, instead of empowering women to take on bigger roles, parties actually work to limit their roles and discourage them from electoral politics. Despite the fact that Tamil Nadu has had a strong woman chief minister like J Jayalalithaa, few women have made it to positions of strength in the state’s politics. Over the last 20 years, participation in local governance has infused a new sense of political consciousness and aspiration among women leaders. In the 32 women-led panchayats IndiaSpend surveyed in six districts of Tamil Nadu for this series, 30% women said they would like to contest the upcoming panchayat elections even when their seat was an unreserved one. Also, 15% women said they would like to enter mainstream electoral party politics if given a chance. Born into a conservative Muslim family in Tuvarankurinchi as Rajathi Rokiah, Salma’s political career should have been an inspiration for young women dealing with oppressive traditions. As was the custom in her village, Salma had been taken out of school the moment she turned 13. She was confined to a room along with her sister. They took turns to peer at the world outside through the one small window in the room. “After puberty, you lose the outside world. One by one, all my friends got locked up. That’s how it is for Muslim girls in my village,” she said. It was poetry that saved Salma. “I would stand in the wet bathroom and write. I had to hide paper and pen among my sanitary napkins because my husband destroyed many of my poems,” she said in the documentary. In 2000, her mother sent some of her poems to a publisher in Chennai, and these became a collection called Oru Maalaiyum, Innoru Maalaiyum (One Evening, Another Evening) and were written under the pseudonym Salma. Salma continued to work in anonymity till politics entered her life. In 2002, Tuvarankurinchi was declared a seat reserved for women and Malik asked Salma to contest elections for the post of the town panchayat chairperson. “I was surprised. He had never allowed me to step out of the house. But it was an opportunity to work for women’s issues,” she said. The 73rd Amendment to the Indian Constitution, that mandated a minimum 33% reservation of seats for women, scheduled castes and tribes in local governance, turned out to be her ticket to freedom. Salma was popular among the women of her constituency. She travelled the world to share her experiences as a woman leader in local governance. Soon after came the first big break in politics and the subsequent events that left her disappointed. The upper-caste, male exclusivity of the political space is a challenge for women trying to move up the hierarchy. So what happens to most women leaders when their five-year term in local governance comes to an end? “They go back to where they came from–inside their homes,” said Salma. A majority of women contest elections in panchayats from seats reserved for them and mostly vacated by their male relatives or other (mainly upper caste) male contenders. Our investigations showed that men view panchayat presidency as their domain, one which women must give up once their term ends. Dalit women panchayat leaders find it near impossible to contest general category seats because that might upset the precarious caste relations in the village. Sharmila Devi, the dalit woman leader of Thirumanvayal panchayat in Sivagangai district, who solved the persistent water problem of her village, knows she cannot contest again even though she wants to. It is a given that unreserved seats go to dominant caste men. “In the last elections, the Kallar caste cooperated with us, so we have to cooperate with them in the next election,” she said in a resigned tone. Sharmila Devi, the Dalit panchayat president of Thirumanvayal, solved the persistent water problem of her village. Sharmila knows she cannot contest again even though she wants to. It is a given that unreserved seats go to dominant caste men. For most women, the struggle begins at home where families find the idea of women in politics distasteful. Rani Sathappan, the former president of K Rayavaram panchayat in Sivagangai district, was a reluctant entrant into rural politics. In 1996, she was persuaded by village elders to contest because they believed she came from the “right” family. During her 10-year tenure, she made far reaching changes in her panchayat, including making it plastic-free. She went on to chair the Tamil Nadu Women Panchayat President’s Federation that was instrumental in lobbying for a fixed 10-year reservation term, and led the protest for a ban against liquor when the state government chose to withdraw it. She also led the team that lobbied with the former union minister for Panchayati Raj, Mani Shankar Aiyar, against the two-child limit for political candidates in Rajasthan, Bihar and Haryana. Had she considered joining mainstream party politics? Rani smiled, looked at her husband sat across her in her living room in Karaikudi and then smiled again. “Nothing like that,” she said knotting her sari end. Rani Sathappan served as the chair of the Tamil Nadu Women Panchayat Presidents Federation, where she lobbied for crucial state and national level policies. But her political career was stymied because her family found it unacceptable. For most women, the struggle begins at home where families find the idea of women in politics distasteful. Rani is now a trainer for Congress activists in Sivagangai district. Jothimani Sennimalai, the former councillor of Gudalur west panchayat (Karur district) and the current spokesperson for Tamil Nadu Pradesh Congress Committee, too made the transition from local to state and national level politics. Her career trajectory illustrates why it is important for political parties to take affirmative action to identify, absorb and nurture women from grassroots politics. 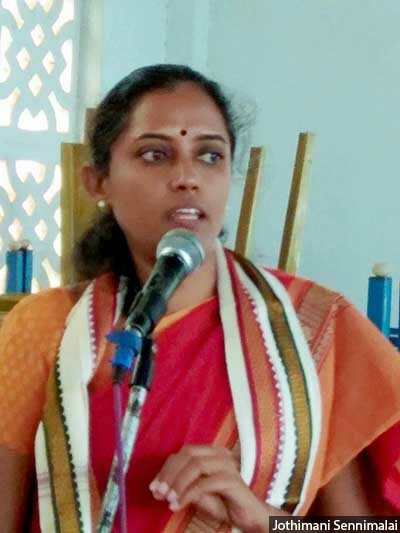 Jothimani Sennimalai, the former councillor of Gudalur West panchayat and the current spokesperson for the Tamil Nadu Pradesh Congress Committee, is one of the few leaders to transition from local to state and national level politics. Her career trajectory illustrates why it is important for political parties to take affirmative action to identify, absorb and nurture women from grassroots politics. At the end of her 10-year term (1996-2006) as a councillor, Jothimani was identified as a potential woman leader by the National Youth Congress in a nationwide talent search for young leaders. She had led a successful legal campaign against the sand mining mafia in Karur. In 2007, she was nominated to the national executive of the party where five of 10 positions are reserved for women, minorities, disabled and transgender persons. She was made the general secretary in charge of Andhra Pradesh, Kerala and the North East. She contested the state assembly elections in 2011 and Lok Sabha elections in 2014, both of which she lost. Even as early as 1977, the former chief minister MG Ramachandran (MGR) launched a special drive to recruit graduate women for the All India Anna Dravida Munnetra Kazhagam (AIADMK) and state assembly elections. “That is how an ordinary school teacher like me joined politics,” said Subbulakshmi Jagadeesan, currently the deputy general secretary of the DMK. She joined the MGR cabinet as minister for small scale industries and subsequently served as a deputy minister of social justice in United Progressive Alliance (UPA) government at the Centre in 2004. 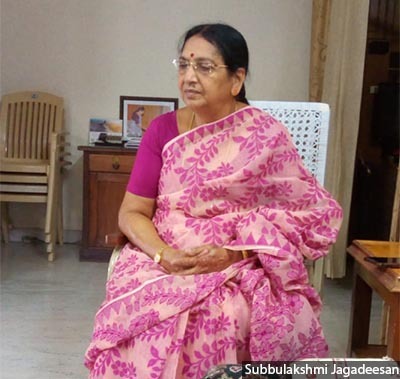 Subbulakshmi Jagadeesan, the current deputy general secretary of the DMK, has had a successful political career as a minister in the state and central governments. Back in 1997, former chief minister MG Ramachandran’s special drive to recruit graduate women into his party brought Subbulakshmi, an ordinary school teacher, into politics. District units of political parties are a prime example of how reluctant men are to share political power with women. These units are the frontline of party structures and could be an effective recruitment avenue for women leaders. Headed by a district secretary, they are powerful because they supervise booth, panchayat and block-level committees and mobilise voters. In Tamil Nadu, no major political party has a woman district secretary in 30 districts. The lone exception is the DMK which has four women as district secretaries. This is entirely possible, Jothimani explained. “The district secretary has frontline committees under him that can reach 250,000 voters within 30 days of campaign time,” she said. The Congress party has a rule that 33% of the district unit positions must be reserved for women but it has yet to implement it, Jothimani pointed out. This is the case with the left parties as well. “We preach equality hence we should practice it. But we have no woman secretary and few women in district committees,” said K Bala Bharathi, the three-time Communist Party of India, Marxist (CPI(M)) legislator from Dindigul. State committees are equally gender-skewed. Subbulakshmi Jagadeesan is the sole woman in the top echelons of DMK. The Congress has not reconstituted its top leadership committee in the last 15 years. And the CPI(M) has 10 women in an 81-member state committee, all of 12%. Women leaders across parties stressed the need to reserve spaces for women, especially from Dalit and Adivasi homes. At the moment, the only place where women can be found in large numbers is the women’s wing of a party. “We have petitioned for a minimum reservation of 30% positions for women and minorities at state and district level in CPI(M) in Tamil Nadu. The politburo has yet to decide,” said Bharathi with a laugh. Currently, 52 countries in the world have voluntary party quotas for women in their party positions ranging from 30% to 50%, according to the Global Database on Quotas for Women. The natural consequence of gender imbalance at lower rungs of the party structure is that few women are fielded in elections and even fewer are elected as members of legislative assemblies. Between 1996 and 2016, between 6% and 15% candidates fielded in elections were women. In the last state assembly elections in 2016, the AIADMK and CPI(M) fielded 12% and DMK, 10%. The Congress fielded three women candidates. Between 1996 and 2016, women MLAs accounted for 3% to 10% of the Tamil Nadu state Assembly. This myth of this shortage of women candidates is laid bare in a new study by Stephen D O’Connell of IZA Institute of Labour Economics which examined the effect of gender quotas in local bodies on the supply of women candidates for assembly and parliament elections in India. The study concluded that constituencies that are exposed to an average of 3.4 years of gender quotas at the local level have an additional 38.75 female candidates running for parliament–an increase of 35% between 1991 and 2009. For state assemblies, an additional 67.8 female candidates were running for office in constituencies with an average exposure of 2.8 years of quotas. Other women candidates who ran for state assemblies were primarily those with prior exposure to local government, according to the study. Women who ran for national parliament were those who had contested but lost in state assembly elections. The study concluded that women are keen to move up in politics. Most women, however, noted the study, run as independent candidates because parties are reluctant to give them tickets. The number of women contestants in Tamil Nadu has increased from 144 in 2011 to 311 in 2016. The number of independent women candidates contesting rose from 63 to 97 in the same period, according to data from the Election Commission. But women who are incorporated into major political parties have a greater chance of winning than independents, according to O’Connell’s study. Rani Muniyakanu, the former president of the Vaduvanchery panchayat in Nagapattinam district between 1996-2006, who fought a long legal campaign against the sand mafia in the region, contested state assembly elections on an independent ticket in 2011. She lost in those elections and soon after joined the Congress. “It is difficult to win as an independent candidate but getting a ticket from a political party is very difficult too,” she said. Rani Muniyakanu, who fought a long legal campaign against the sand mafia, contested state assembly elections on an independent ticket in 2011. She lost in those elections and soon after joined the Congress. Political reservations have created a new pool of women leaders who contest elections mostly as independents, studies pointed out, but they are less likely to win than contestants of political parties. The other excuse political parties give is that women are not winnable, said some of the women interviewed. 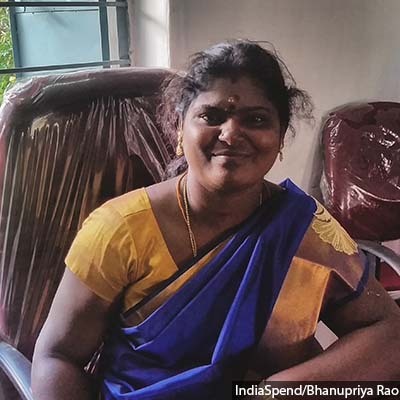 Rajeswari, the Dalit president of Kuruthangudi panchayat in Sivagangai district, was popular for her work and was promised a ticket from Manamadurai constituency but refused at the last minute by the AIADMK in the 2016 assembly elections. “They said the man had a better chance of winning,” Rajeswari said, the disappointment evident in her voice. Jothimani’s party fielded her from Karur constituency in the state assembly elections in 2011 and general elections in 2014; she lost both. In 2016, she decided to contest from Aravakurichi, a constituency she was more familiar with, and started a pre-election voter outreach campaign. The party denied her the seat and she protested publicly against this. A 2010 study on the glass ceiling in politics in the United Kingdom noted that that women (and ethnic minorities) fielded by the Conservative Party were less successful in elections because they were put up in unwinnable constituencies, largely as a window-dressing measure. A political career needs substantial financial investment–especially around election time–and few women can afford that. Meagre honorariums for women panchayat leaders barely cover their everyday expenses at work, which often eat into their personal household finances. Finding a continued pipeline of finance to move higher in the political hierarchy is rather difficult for grassroots women leaders, especially those from Dalit and Adivasi communities. Jothimani’s 22-year-long political career has largely been funded by her mother. The family owns agricultural land. Most women do not have control over their family finances and, in the absence of their family’s support, find it impossible to enter and continue in politics. “A district secretary, an unpaid position, needs at least Rs 70,000 to Rs 1 lakh a month to carry out his duties. Where do grassroots women leaders find that kind of money?” asked Jothimani. Women leaders IndiaSpend spoke to believe that there needs to be a centralised financing mechanism for political party work to sustain women and marginalised groups. The financing model of the Left parties, according to women leaders, is a better alternative. “MLAs and MPs in Left parties do not take their salaries home. They have to give it back to the party, which is then used to pay full-time office bearers,” says Bala Bharati. Salma recalled ploughing Rs 5 crore into the 2006 elections. “The party only gave a small amount. I had to raise the rest myself,” she said. In 2016, when she wanted to contest again, the party again refused to help her raise any finances. Campaign finance is the sole reason that Subbulakshmi Jagadeesan stopped contesting elections. “When I wanted to contest assembly elections after my stint as a minister in the central government in 2009, election expenditure had shot up to Rs 5 crore. Besides, there was a new practice of giving money to the voters to get support. So I opted to do party work instead,” she says. Sexual exploitation is another problem in politics and there is no redressal mechanism. “Political parties do not follow the Visakha guidelines on sexual harassment,” Salma said. Leaders like Jothimani, though still struggling financially, see the need to change the perception of politics as a career choice for women. When she decided to contest elections in 1996 at the age of 21, she remembers how relatives tried to convince her that it was a wrong choice for an educated woman. Twenty-two years later, people are still trying to convince her to get a “proper” job, she said. “In this patriarchal system, where men hold power and are reluctant to share it, they have very cleverly convinced women that politics is not for them. We need to stop buying into this idea,” she said. Correction: An earlier version of the story erroneously said that the Congress did not field any women candidates in the 2016 elections to the Tamil Nadu assembly. The correct datum is that three of the 41 candidates (7%) the party fielded were women. We regret the error.